A group of South Korean researchers has developed a new method to cause cell death in both living fish and lab bowel cancer cells using a magnetic field. This application of electro-magnetism triggers a death signal that leads to programmed cell death. The researchers published their findings in the journal Nature Materials. Treating cancer effectively is difficult, since most therapies don’t discriminate between cancer cells and healthy ones. There are many different approaches, all with varying degrees of success. In this study, the team was experimenting with the introduction of iron oxide nanoparticles, which attach to antibodies, into a biological system. 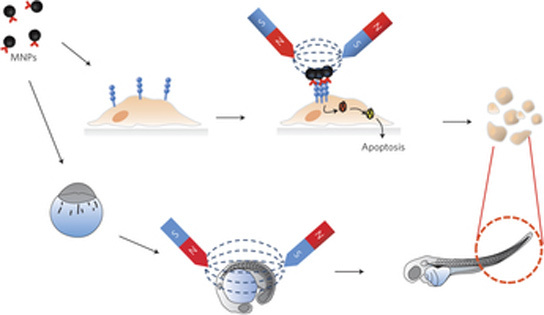 The antibodies bind to tumor cell receptors. Once a magnetic field is introduced, the nanoparticles bunch up or cluster, which triggers a natural response that’s called the death signal. Apoptosis is what occurs, causing the destruction of the cancer cells and the tumor. This process continually occurs in living organisms and is marked by events that lead to changes in cells causing their deaths. Researchers took advantage of this process by causing such chemicals to be sent to tumor cells. Zinc-doped iron oxide nanoparticles were applied to colon cancer cells, which naturally bind to antibodies that bind strongly to the death receptor on the colon cancer cells. 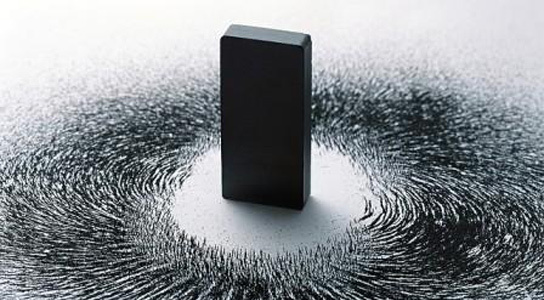 Once the magnetic field is applied, the death receptor sends out a signal telling the system to attack the cell. In their experiment, the team discovered that more than half of the tumor cells exposed to such a treatment were eradicated, while none of the untreated cells died. Other experiments using zebra fish resulted in the growth of abnormal tails. 3 Comments on "Magnets Used to Eradicate Cancer Cells"
This is a very amazing concept, don’t look at things as war and killing…anything can kill should we not use knifes to cut our veggies, might lead to killing with a knife? All my satire aside who would ever think of sending nanoparticles into crush the cancerous cell. Such a simple concept to crush something, yet the way its used is thinking outside the box. I’m really interested on what nano tech has to offer the human race in the near future. Don’t you belong to the human race?? ?